Killed Cleveland, OH, June 11, 1929. Once the top lieutenant in "Big Joe" Lonardo's Cleveland Mafia, "Black Sam" Todaro was the only non-Lonardo partner in the Lonardo Brothers Company on East Ninth Street. The other partners were Joseph and his brothers Frank and John. While the company outwardly engaged in the selling of cheese, it did far greater business supplying corn sugar and yeast to Prohibition Era moonshining operations. "Black Sam" Todaro had a falling out with the boss in the mid-1920s. During a Lonardo trip to Sicily, Todaro was left in charge of the business. Todaro reportedly mistreated a Jewish employee in the operation, and Lonardo got word of it. When Lonardo returned, he ordered underling Lorenzo Lupo to murder "Black Sam." Influential Mafioso Nicola Gentile convinced Lonardo to cancel the death sentence, but the damage to the Lonardo-Todaro relationship could not be repaired. Todaro broke away from Lonardo. With help from the numerous Porrello brothers, Todaro created a rival corn sugar operation and worked to undercut "Big Joe's" prices. In 1927, while Todaro was on his own trip to Sicily, Joseph Lonardo and his younger brother John were murdered at a Porrello-owned barbershop in Cleveland. The Lonardo family was convinced that "Black Sam" was behind the murder. Todaro became boss of the Cleveland Mafia, a development with repercussions for the entire Sicilian Mafia in the United States. Lonardo had been a loyal supporter of Mafia boss of bosses Salvatore "Toto" D'Aquila and assisted D'Aquila in maintaining his national leadership role during a war with Manhattan's Giuseppe Masseria. Todaro and the Porrello brothers repositioned the Cleveland Mafia in the Masseria camp. D'Aquila was murdered in Manhattan about a year after Todaro became boss in Cleveland. Todaro then hosted a national Mafia convention in December 1928 that was likely the moment of Masseria's coronation as new boss of bosses. In the months that followed, Lonardo's widow Concetta repeatedly sought Todaro's financial assistance. It was common for her to be driven to the Todaro-Porrello headquarters and have Todaro chat with her at her car. On June 11, 1929, Concetta's eighteen-year-old son (and chauffeur) Angelo Lonardo and her twenty-two-year-old nephew Dominic Sospirato were in the car with her. As Todaro approached, the two young men shot him to death. Concetta Lonardo was tried for murder and acquitted. Angelo Lonardo and Dominic Sospirato were tried, convicted and sentenced to life in prison. They won a new trial on appeal and were acquitted in their second trial. Todaro's widow Carmela continued to live in the family's $10,000 home on East 126th Street. The Todaro children appear to have split their time between Cleveland and Sicily. Three children were noted at the time of "Black Sam's" murder: Joseph, 7; Mary, 6; Frank, 4. Only Mary was present in the home at the time of the 1930 U.S. Census ten months later. Dr. Giuseppe Romano, who later served as Cleveland Mafia boss, was administrator of the Todaro estate. 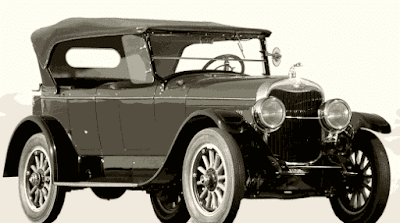 Among other responsibilities, he saw to the sale of Salvatore Todaro's 1924 Lincoln Phaeton touring car. Cleveland City Directory 1922, Cleveland: Cleveland Directory Company, 1922, p. 2539. Cleveland City Directory 1925, Cleveland: Cleveland Directory Company, 1925, p. 1833. Estate of Sam Todaro, Doc. 220, No. 183151, Probate Court of Cuyahoga County, Ohio, June 27, 1929. Kenen, I.L., "Corn sugar racket has taken seven lives," Cincinnati Enquirer, Aug. 4, 1930. Organized Crime: 25 Years After Valachi, Hearings before the Permanent Subcommittee on Investigations of the Committee on Governmental Affairs, United States Senate, 100th Congress, 2nd Session, Washington D.C.: U.S. Government Printing Office, 1988, p. 530. United States Census of 1930, Ohio, Cuyahoga County, Cleveland City, Ward 29, Enumeration District 18-498. DiCarlo: Buffalo's First Family of Crime, Vol. I.